On World Radio Day this Saturday, the Committee to Protect Journalists is paying tribute to the vital role radio journalists play in bringing their communities news and commentary, sometimes at great personal cost. Seventeen radio journalists were killed for their work last year. Africa and the Americas were the most dangerous regions for radio journalists, with Brazil and South Sudan tied for deadliest country. On a single day, January 25, four radio journalists and a camera operator were ambushed and killed in South Sudan. There have been no arrests in the case more than a year later. Four journalists were also killed in Brazil, three of them local journalists covering corruption; and the fourth, a Paraguayan, covering politics. Among them was Gleydson Carvalho, who was shot dead while presenting his radio program. His murder came a year after Brazil's President Dilma Rousseff told CPJ her administration is committed to addressing attacks on journalists and ending the cycle of impunity for their murders. At least 14 radio journalists are imprisoned, most on anti-state or no charges, according to CPJ's 2015 prison census. Ekberjan Jamal, imprisoned in China since February 28, 2008, has spent the longest time in prison among radio journalists listed on the 2015 census. The freelance journalist was sentenced to 10 years in prison for separatism and revealing state secrets after he sent recordings and a description of riots to Radio Free Asia and Phoenix News in Hong Kong. CPJ has not had any new information about Ekberjan's case since April 2009. Join CPJ in calling on Chinese authorities to provide information on his health and well-being, and to drop the charges. Some radio journalists on CPJ's prison census are being held without charge, such as Ali Aliwiwe, a journalist with Palestinian Radio 4, who has been held in administrative detention by Israel since October 21, 2015. A request by CPJ for additional information from the prime minister's office in late December has not yet been answered. Africa is the worst jailer of radio journalists, accounting for half of those behind bars, CPJ's records show. 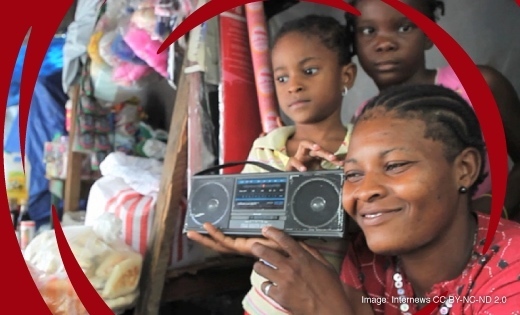 Radio, particularly community radio, remains one of the most important news sources in Africa, yet even coverage of seemingly apolitical issues such as health epidemics can be dangerous for journalists. In September 2014, Facély Camara, who worked for the privately owned station Liberté FM at N'Zérékoré, and two media workers for a community radio station, were killed while covering an Ebola education campaign in Guinea. Elections are particularly dangerous times for radio journalists. In Uganda and Burundi, authorities shuttered radio stations and cut transmissions ahead of elections. Just last month, authorities in the Democratic Republic of Congo ordered two stations off the air for allegedly failing to pay taxes and licensing fees, a charge the director-general, Olivier Tuta, denied. The stations are owned by Moïse Katumbi, a businessman and politician who left the ruling party last September and later joined an opposition party. Local media had reported he may be considering running in presidential elections that are due to take place later this year. On World Radio Day join CPJ in remembering our intrepid colleagues who paid the ultimate price to bring us the news, and those still suffering behind bars for their work. We will be tweeting out the names and profiles of these 31 journalists Saturday, and you can participate by retweeting @pressfreedom and helping us remember the individuals behind the statistics. Join CPJ in an effort to get justice and early release for these, and all journalists, and to protect press freedom around the world.